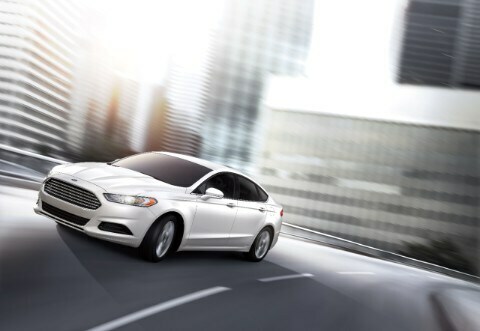 The 2016 Ford Fusion manages to show that good, space-efficient design can also be very good-looking. This mainstream mid-size sedan manages to be comfortable, spacious, and very well-equipped, and even though it's no longer a new design it's still one of the most attractive in its class. In profile, stance, and details, the 2016 Fusion remains one of the most attractive models in its class. It's handsome and athletic, supremely comfortable, and packed with technology. 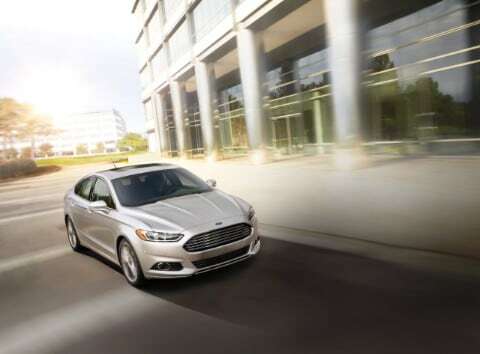 The base-level engine in the Fusion is a 178-horsepower, 2.5-liter four-cylinder. To get V-6-level performance in the Fusion, go straight for the 2.0-liter EcoBoost turbo four; with its 240 hp and 270 lb-ft of torque, it's quick to rev, and the automatic's shifts click quickly via paddle controls. It's also remarkably vibration-free and quiet. A 181-horsepower, 1.5-liter turbo four is probably the best performance vs. price compromise for most buyers-although it's not, like its 1.6-liter predecessor, offered with a manual gearbox. The 2016 Fusion remains one of the most attractive models among mid-size sedans, and that holds true inside or out, and whether talking about overarching design themes, styling, or up-close design details. From the nose on, to use the word 'bold' here is no exaggeration; the hexagonal grille bends and bevels between headlamps and foglamps in a way that's half-Aston, half-Hyundai. The gently arched roofline looks a bit like that of the Audi A7 from the rear angles, and its LED taillamps help punctuate that. Inside, it's sleek and functional, and front and center Ford has revamped its center stack of controls to accommodate the new Sync screen and controls-introducing a few more mechanical buttons along the way. Can you give me an estimate for my vehicle that I would like to trade in? How can I estimate my monthly payment? All Fusion models include eight standard airbags, dual front knee airbags, active headrests, and hands-free Bluetooth calling and audio-streaming capability. 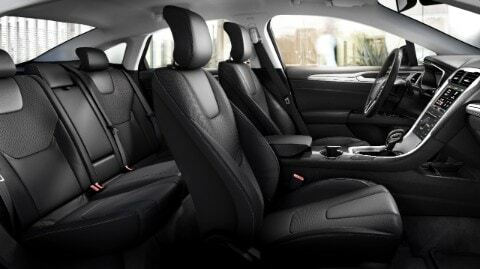 And you can opt to get the innovative inflatable rear seatbelt system that's been offered on some of Ford's crossovers. A rearview camera system is now standard on all models, and rear parking sensors are an option on the SE and standard on the Titanium. Thanks to relatively slim roof pillars, visibility in the Fusion is excellent; you'll find that rearview camera useful. Give us a call today if you would like more information on the 2016 Ford Fusion!